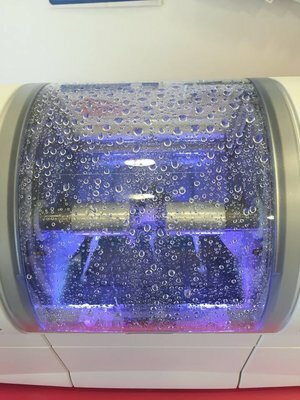 The Happy Tooth is always trying to keep up with modern technology and have upgraded one of our machines to the Cerec Milling Unit. If you have had a crown made in the past, you would know the long process of having to have a bulky temporary in for up to 2 weeks while your crown is being designed in a lab off site. The Happy Tooth Kurri offers SINGLE VISIT crowns!! What does this mean? It means we can scan, design and mill your crown all in house on the same day, so there is no need for a second appointment. You will walk in for your preparation and walk out with a brand new crown! If this is something that interest you, please call the surgery on (02) 4936 2011 to arrange a consultation. 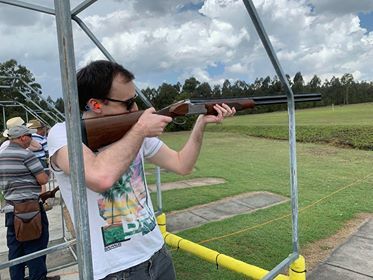 The Christmas party went of with a “Bang” this year at The Cessnock Clay Target Gun Club. A big thank you to Ian and the team of volunteers for hosting us on the day. We followed up with Dinner at Nan Kerr’s Kitchen in Pokolbin, thanks to Jimmy and the team for their amazing hospitality. On Friday Paige, Dr Ana and Carol participated in a Surgical Draping course. Thank you to Cathy Schafer from C & L Dental Education Consultants for such an informative and hands on presentation. The team have had a busy few months raising much needed funds and awareness for charity. We think that they looked funny in red noses, pretty in jeans and mellow in yellow! Such a great effort was put in by all and we would like to thank all of our Patients for their support. Did you hear? We have teamed up with Zip Pay to offer this wonderful service to our Patients. Have a verified Facebook, PayPal or LinkedIn account in your own name. If you wish to use the payment plan option please advise the Dentist at your next visit or call the surgery on (02) 4936 2011 to discuss booking an appointment using the service. The team had a wonderful night out at Pulse climbing in Newcastle. We all learned new skills and were put out of our comfort zone in terms of height and control. If you are looking of a fun day out or some where to take the family on a rainy day, we would defiantly recommend Pulse Rock climbing for all ages. Mouthguards can protect you from some serious sporting injuries, such as broken jaws, fractured, cracked or knocked-out teeth, cut lips and tongues. You can play any sport with a mouthguard, you don’t just have to be playing obvious contact sports like rugby union, rugby league, AFL, hockey, etc to sustain those kinds of injuries. Even non-contact sports like cricket, basketball and even netball, carry a real risk of accidental collision, resulting in dental trauma. If you have braces it is highly recommended to wear a mouthguard to avoid grazes or serious injuries to the lip, cheek and tongue. Our staff have recently completed a training course – Modern Mouthguards presented by Dr Brett Dorney. This hands on practical course will ensure that your mouthguard is made with special moulding techniques to minimise impact. Dr Dorney has been awarded fellowships from The Academy for Sports Dentistry, the International College of Dentists and the Academy of Dentistry International and has also been lecturing for 20 years in Australia and overseas on Prevention and Treatment of Traumatic Dental Injuries. "Fangs at the Nostalgia Festival"
The team had yet again a wonderful time at the 2018 Nostalgia Festival interacting with the Kurri Kurri community. A big thank you to every one who stopped to say hi and we look forward to seeing your "Fangs" at your next Dental Appointment or at the 2019 festival. Lyn, Staff member Hayley, Cathy and staff member Candice. At The Happy Tooth we like to stay up to date and informed of the latest infection control guidelines. A big thank you to Cathy and Lyn from C & L Dental Education Consultants for proving training to our team! Have you got a Mouthguard? Mouthgurads will be Health Fund ONLY (meaning no out of pocket expense) or a fixed price for the period of 1/2/18 - 31/3/18. To avoid disappointment, be sure to book an appointment on (02)49362011 during this period! The Happy Tooth Kurri celebrated our staff Christmas party at the Newcastle Escape rooms and Merewether Surf House on the weekend! The team attempted to escape from the escape rooms without success and had a relaxing dinner watching the waves of the ocean at Merewether. Thank you to all our wonderful staff and Patients for a wonderful year. Each year the team help bring a little extra Christmas Cheer to town by the purchase of a gift. This year The Happy Tooth made Matilda feel very special, with a pair of new shoes for her to wear and love. We hope that they will make this Christmas a memorable one for all. The Town of Murals Art Show was officially open on Saturday 9th of September 2017. With over 200 high quality entries, the judges sure had a tough job picking the winners. We would like to extend our congratulations to all the entries. Senior Youth – first prize, Ariel Dreaming by Abby Ussher; second, Green Tree Frog by Matilda Brown; third, Wandering Girl by Ebony Cannon. The Happy Tooth look forward to being proud sponsors of the 2018 Town of Murals Art Show. On Friday 21/7/17 we celebrated and raise awareness for The Pyjama Foundation. The team donated a whopping $130.00 for the organisation. We have had so much fun wearing our Pj's to work and enjoyed hearing all our Patients excitement as they arrived for their appointments.